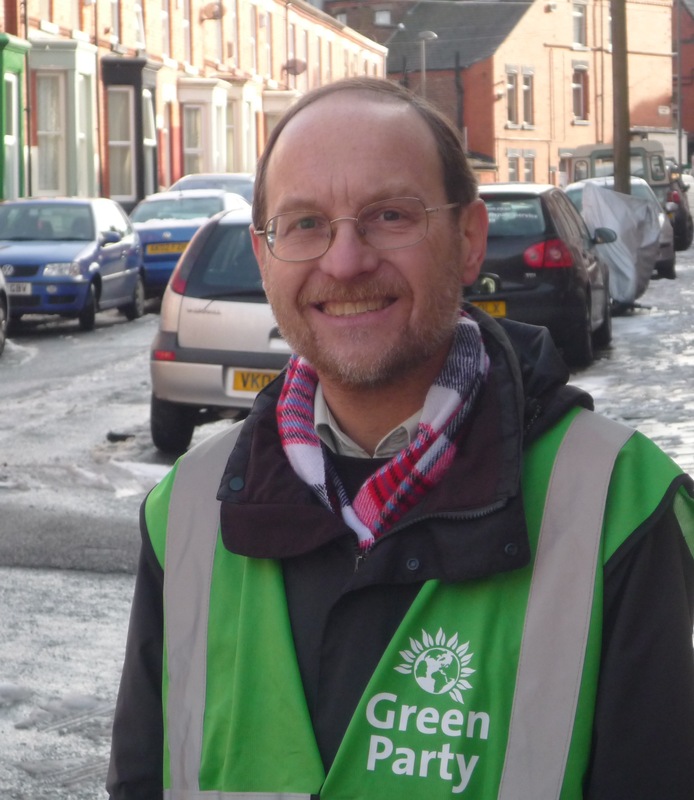 Local resident Lawrence Brown will be your Green Party candidate in the next elections for the City Council. 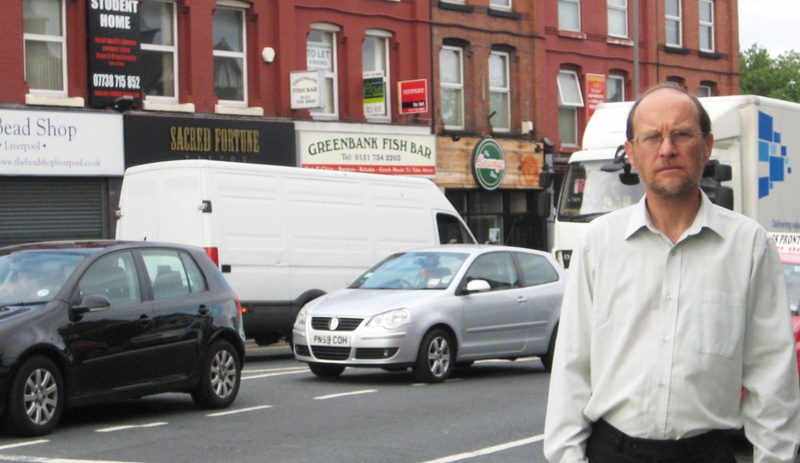 Lawrence has lived on Patterdale Road for over 25 years and has been working year-round to make our area a better place to live. In the last election, Lawrence Brown and the Green Party came second to Labour but our surveys show that we are closing the gap and this gives us a real chance of winning a seat at the next election in May. Many people are voting for Lawrence this time to make sure our area has a strong independent voice in the council, who will stand up for fellow local residents against the Mayor when necessary. The Green Party has been at the forefront of campaigns for 20mph speed limits in towns and cities throughout the country. In just a few years a large number of councils, including Liverpool, have adopted the policy of a default speed limit of 20mph in residential areas. This has been a major success for common sense; slower speeds mean fewer people killed or injured by vehicles. important omissions: Greenbank Road is not on the list. for Greenbank Road to be included too. so far refused to consider making any of the main A roads in the city 20mph; something that needs to be challenged on Smithdown Road. Further vicious cuts from the Tory/LibDem government mean Liverpool’s council faces very tough decisions on its budget. Last year the Green Party called for a local referendum on a tax increase to protect vital services. Liverpool’s Green councillors are inviting you to a public meeting to discuss what should be in this year’s Green budget proposal. Register to vote now so you will not miss out in May. There are important council and European elections coming up. We will have the opportunity to kick out the racist BNP – it will likely be a battle between the Green Party and the BNP for the final regional MEP seat – your vote is vital to make sure we do it. In a recent Greenbank survey, Lawrence Brown found that maintaining our parks and green spaces is a high priority for local residents. A recent national study has backed this approach, showing that lack of green spaces is partly to blame for the obesity crisis in Britain’s big cities. Lawrence has been working with Green Party councillors at the forefront of the campaign to save our historic Sefton Park Meadows but, despite a massive campaign to save the area from the bulldozer, the Mayor, supported by Greenbank Labour councillors, is continuing with the plan to sell the land for the building of luxury homes. The Council is currently choosing a developer who will work up detailed plans for presentation to the planning committee in a few months time. 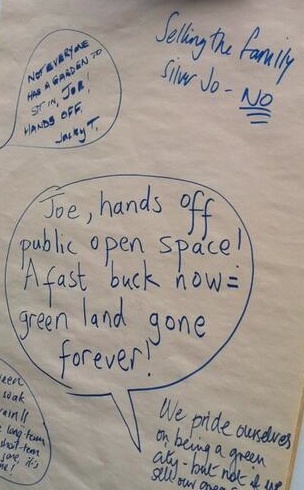 • Calling for the land to be protected in the new “Local Plan” for Liverpool. • Asking English Heritage to extend the Grade 1 Listing of Sefton Park to include the Meadows. • Calling on the government to ‘call in’ any planning decision by appointing an inspector to review the process.